supervision of a joint survey, by the members of the GWHC, of selected transboundary aquifers based on a robust checklist of parameters and features for observation. The current understanding of transboundary aquifers is poor as is the management of such resources. Main recharge areas, recharge magnitudes and flow patterns are poorly known. Estimation of recharge in semi-arid to arid environments, such as the Orange-Senqu River Basin, has been proven to be rather difficult. Not much has been done in terms of employing variety of recharge estimation methods, which could give a better understanding of the replenishment of the aquifers within the Basin (ORASECOM, 004/2007). Recharge estimates made by previous studies need to be reviewed and updated on a regular basis due to among other factors, role of recharge knowledge in the sustainable management of the available groundwater resources, ongoing changes in land use practices, increasing effects of climate variability and change, availability of more data from existing monitoring programmes/studies and improvement of requisite recharge estimation methods / technologies. Information on recharge is also important for determining the aquifer water potential, modelling of the aquifers, monitoring the impact of climate variability and change and establishing water balances of the aquifers. The ORASECOM’s IWRM Plan requires achievement of the following relevant outputs as part of its implementation, during the period 2015 to 2024:- (i) Improved Understanding of Aquifers (Storage Capacities, Recharge Rates, Sustainable Yields and Other Characteristics (output 1.1.2); and (ii) Adaptive management approaches utilised including application and continuous/regular use of surface and groundwater resources planning/allocation tools (e.g. Water Resources Planning Model), including proactive, transparent and coordinated approach with empowered regional participation and gender mainstreaming (Output 1.2.1). Basin countries have relatively good groundwater monitoring programmes. Nevertheless, there are still some challenges which need further attention. There may be some variations regarding methods used to collect, store and share data among the users. There is still a need for improvement of data quality control methods and procedures. Due to operational challenges at the national level, there exist gaps in some of the data being monitored. Most of the countries have more than one institution with overlapping mandates as far as groundwater development and management is concerned. As such data sets are sometimes spread across the institutions. Updating of such datasets and databases is also infrequent due to among other challenges, limited human resources capacity. Most of the databases are main-frame-based and therefore not immediately accessible, to the users, as that would be easier with web-based databases. Units of measurements for some of the data found in the databases or used in the reports are not clearly defined, making use of such data difficult. The existence of substantial backlogs in the conversion of data from hardcopy formats to digital/electronic formats has also been identified as one of the challenges. The other challenge is that some of the data were captured using proprietary computer software which requires annual licence fees renewals and use of dongles to access such data. 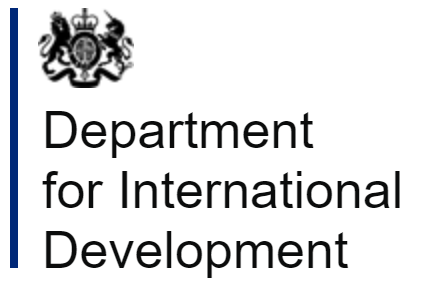 More often than not, this proprietary software comes with externally funded national groundwater projects, and once such projects come to an end, Member States are no longer able to maintain such databases or transfer data from such programmes to easily accessible programmes such as Microsoft Excel. 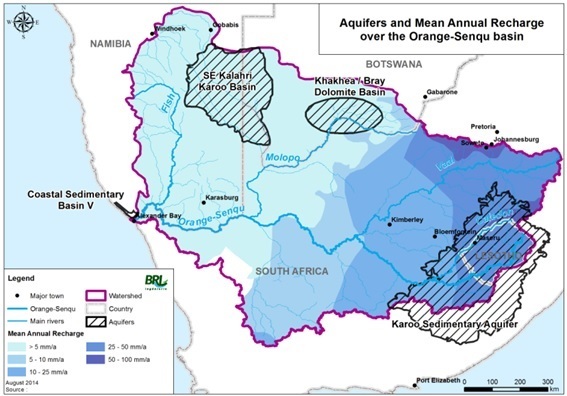 There are currently no joint monitoring programmes of the four transboundary aquifers of the Orange-Senqu River Basin, except the STAS. Discussions are advanced for the STAS to establish a Multi-Country Cooperation Mechanism (MCCM) which will be nested under ORASECOM. Some work has already been undertaken, using existing data from the three riparian countries to come up with a groundwater conceptual model for the Aquifer, as part of the UNESCO’s GGRETA Project, which started in 2013 and is planned to continue until 2019. Through its 5-Year Water Resources Quality Joint Basin Survey (JBS) which started in 2010, and which also based itself on the work of the 2007-2009 Molopo-Nossob Sub Basin groundwater review study, ORASECOM has been monitoring water quality from six boreholes in the Molopo-Sub Basin. Some of the boreholes are also located in the STAS area. The ORASECOM’s IWRM Plan requires “improvement of the reliability, usefulness, trans-boundary confidence areal coverage of groundwater monitoring networks at the transboundary and national (sub-catchment) levels, as Output 5.1.3. As part of an environmental transboundary diagnostic analysis (TDA) study undertaken between 2009 and 2014, funded by the United Nations Development Programme (UNDP) and the Global Environment Facility (UNDP-GEF), ORASECOM developed an internet-based water information system, commonly known as “WIS”. The WIS (http://wis.orasecom.org/) currently provides the following functions:- (i) repository and cataloguing to ensure integrity of data and information acquired and produced by ORASECOM and the projects associated with it; (ii) web-based search and discovery of data to enable discovery of ORASECOM data and information; (iii) data exchange and sharing with appropriate users, including download of ORASECOM data and information for different user groups, while respecting third-party data ownership rights; (iv) web-based provision of data products to the general public, e.g. visualisation of selected data in thematic maps; and (v) profiles of the data custodians in the riparian States and links to their websites to facilitate data and information discovery and sharing. Unfortunately, the majority of the information and data found on the WIS are on surface water. A more groundwater focused system is required to share groundwater data amoungst basin states.